Gail Shanta was raised and educated in England, Germany, and France. She began playing the piano at the age of 4 and later studied the organ while attending the University of Aix-en-Provence in southern France. 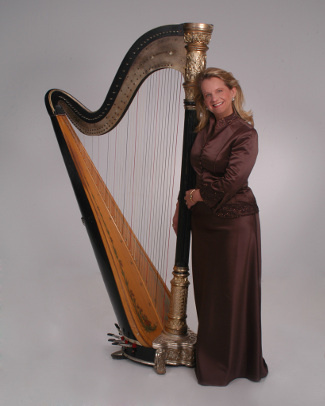 Gail began studying the harp while working on her doctorate at the University of Colorado. Gail has been performing with the Mount Vernon Orchestra and Fairfax City Band. In addition, she has played for fund raising events such as Alexandria Symphony, the Lyceum, Ronald McDonald House, and others. Her harp is and antique gold harp which was originally owned by a nun who used it in worship in a monastery. Gail uses her harp to play music ranging from classical, sacred, and ceremony music to popular, swing, and broadway show tunes for receptions.